Last week I got back from a family holiday to the US. I travelled through some pretty amazing landscape from San Diego to the Grand Canyon and back. Capturing a compelling image often involves doing activities that are either boring, dangerous, or embarrassing to anyone else not taking the photo. The schedule for a family vacation is just different than doing serious shooting. Sunset, a prime-time to shoot is most often taken up by checking into the hotel or eating dinner. -Mark Hamel. Still, I'm pretty happy with some of the snapshots I got. 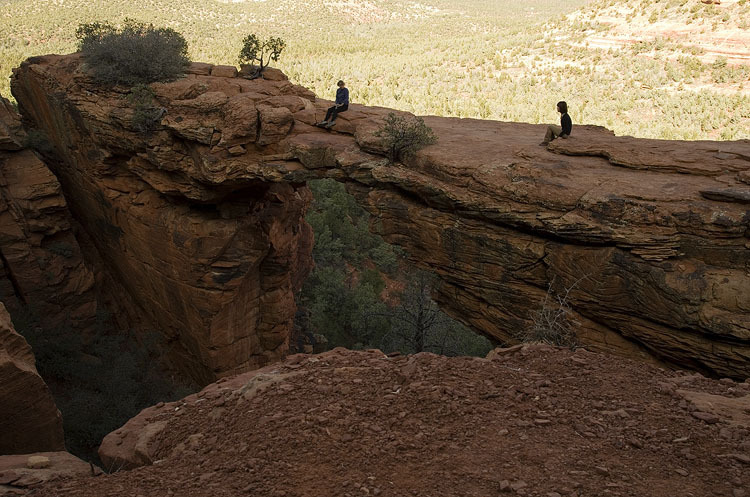 The first lot I'll post up are from Sedona in Arizona. 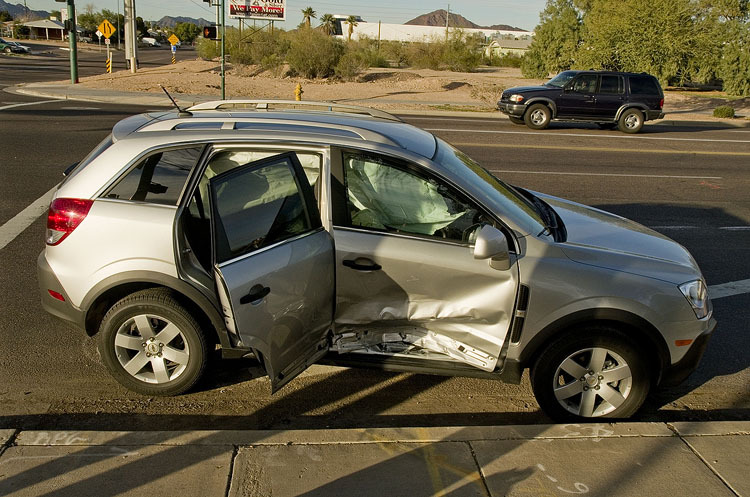 We arrived one day after a fairly nasty car crash in Pheonix, so it was good to get out of the city. 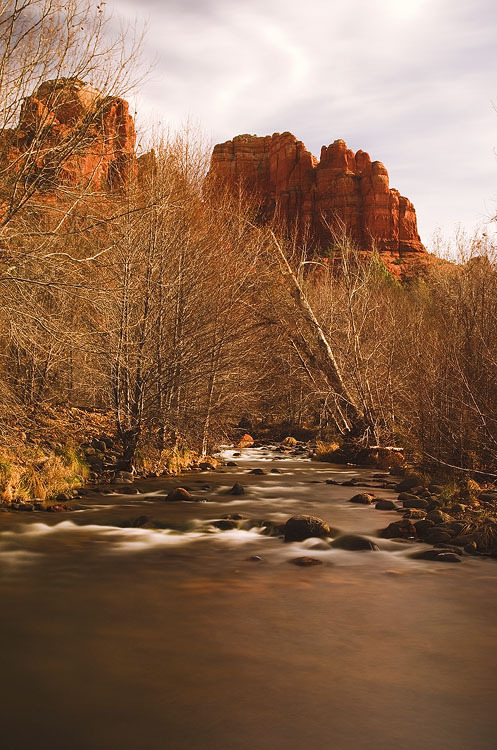 Sedona is famous for its incredible red-sandstone formations, and also as a mecca for the New Age movement. Many people flock here hoping to feel the power of spiritual vortices -- called vortexes by the locals -- where the earth's power is apparently concentrated. Whether you believe that or not, it's hard not to appreciate the beauty of the environment. 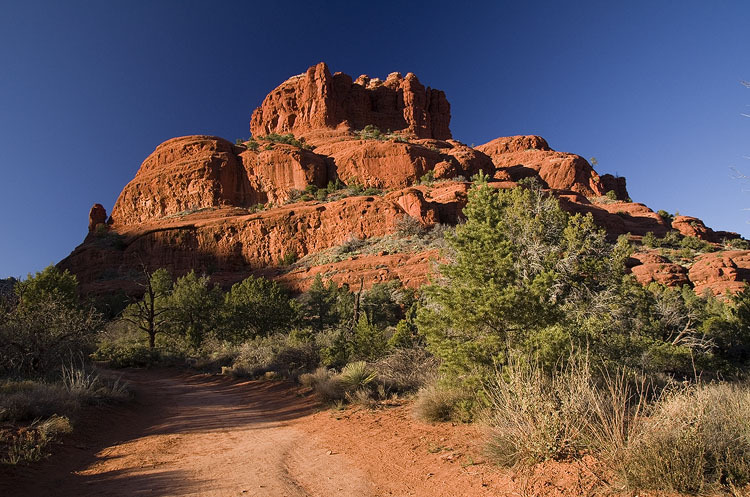 Located on Hwy 179, Bell Rock is one of the first formations most visitors will come across. It's also supposedly the site of one of the most powerful vortexes, so don't be surprised to find people practicing yoga at the top. 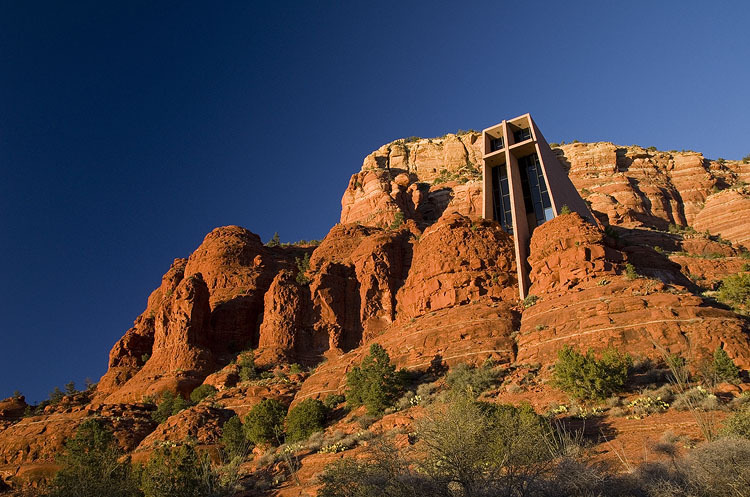 Built in 1956, this Roman-Catholic Chapel built right into the rock is one of the main tourist attractions in Sedona. Its orientation means it commands great views of Cathedral rock, Bell rock and Courthouse Butte as well as being naturally lit right until sun-set. 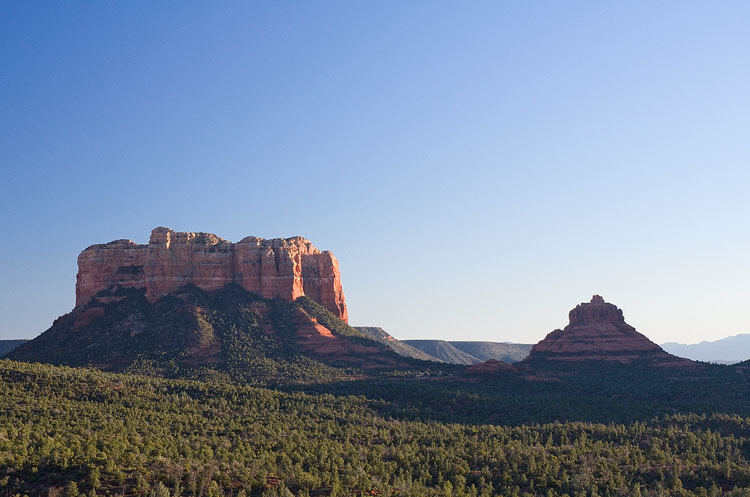 Cathedral Rock is probably the most photographed place in Sedona, if not the whole of Arizona. Unfortunately when we visited we weren't blessed with particularly good skies or light, but it did give me a chance to try out my ND filter that has been sitting in my bag unused for a while. I think this was a 30 second exposure. 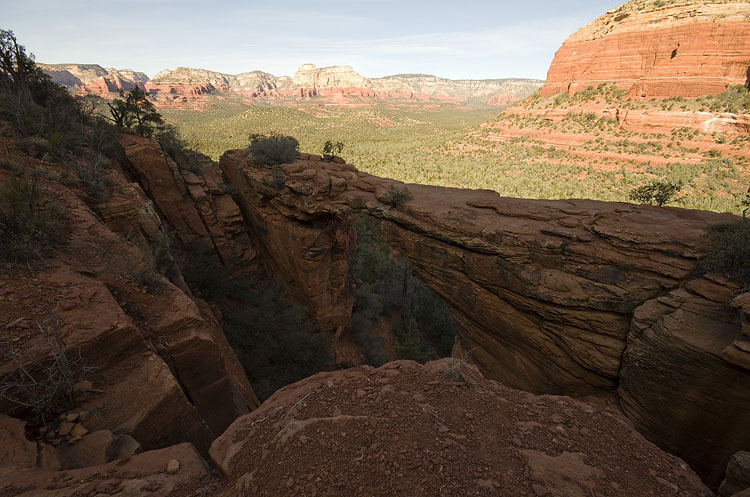 Devil's bridge is a natural sandstone arch with a BIG drop below it. Even though I don't really have a fear of heights, this place was scary. It's not so bad when you are standing on it, but looks really narrow from a distance. The fact that there was a kid and his dog running around didn't help! After leaving Sedona, we headed to the Grand Canyon. I'll post those photos next. Beautiful photos. 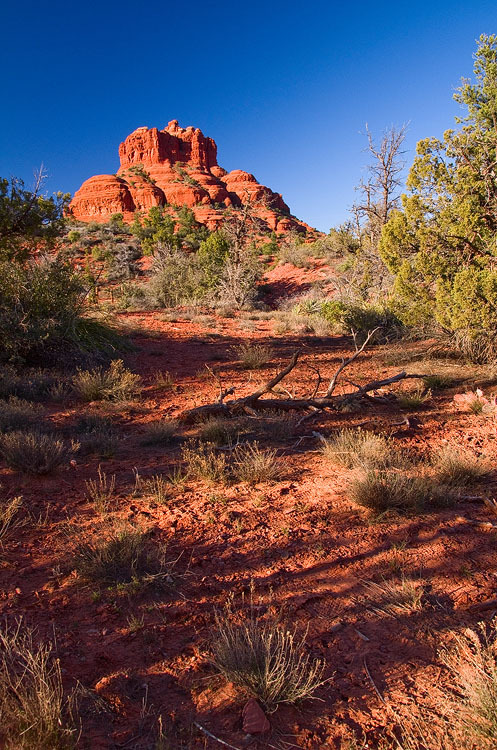 Sedona red Rocks is beautiful when the sunrise or sun set. In which that red rocks color turns to Golden Red.